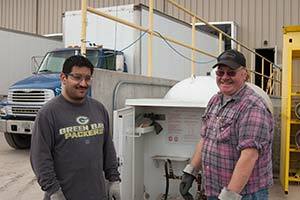 Badger Custom Pallet offers competitive wages and a safe working environment for its employees with opportunity for advancement. Background in construction, maintenance, and machine operation is helpful, but not required. 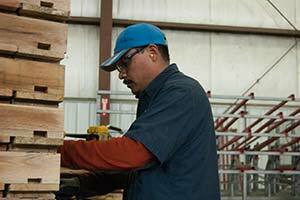 Badger Custom Pallet is willing to train motivated, responsible employees and awards raises based on merit and progress. For more information on how to jumpstart your career with Badger Custom Pallet, feel free to contact us. To apply, stop by to fill out an application and schedule an interview with our team.